As a proud member of Penske Automotive Group, we are dedicated to serving all of your automotive needs and providing the best customer experience possible. 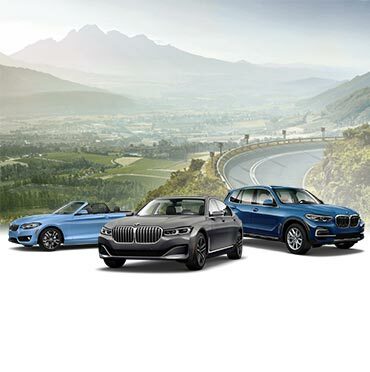 As one of the most distinguished BMW dealerships in the Phoenix metro area, BMW North Scottsdale believes in the passion and the innovation of the BMW brand. Therefore, we’re excited to offer our customers the latest new BMW vehicles like the 2017-2018 BMW 3 Series, the new BMW X1 and the popular BMW X3. We also have many Certified Pre-Owned BMWs, used BMWs, and used cars from other automakers in stock as well. Take a look at our inventory online, and then give us a call when you’re ready to schedule a test drive! In addition to our expansive inventory, BMW North Scottsdale is also home to a fully operational BMW Parts & Service Department. From routine maintenance like oil changes and tire rotations, to more serious car repairs like transmission servicing and brake replacement—no matter what you’re driving—the Service Department at BMW North Scottsdale will have your car back on the road in no time. You can now schedule service appointments at BMW North Scottsdale online. You can also use our website to apply for financing, view our current specials, calculate payments on a new car, and estimate the value of your current vehicle as a trade-in.